Scoliosis is a disorder that affects five to seven million Americans each year. Half a million appointment with the doctor’s office are for the reasons of scoliosis evaluation and treatment. What exactly is scoliosis? Scoliosis is a disorder that causes the spine or backbone to curve abnormally. In a normal situation, our spine’s curve are normally seen when it is seen from the sides and it looks perfectly straight when viewed from the front. 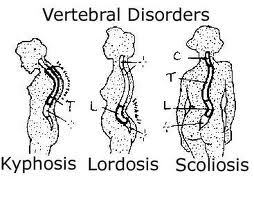 If you have scoliosis, additional curves are added to either side or the bones of the spine looks to be twisted. Scoliosis can develop at any age although it is more common among adolescents. In general, girls are more prone to scoliosis than boys are and it can be inherited. It is referred to as an idiopathic condition because the causes are unknown. When it comes to scoliosis treatment, chiropractic care is recognized as one valid method of treatment. Chiropractic care is a treatment that involves non-invasive procedures and techniques. This means that when undergoing scoliosis chiropractic treatment you do not have to take any prescription drugs or go through a surgical procedure. The entire process is all-natural. This is because the main principle of chiropractic treatment is to focus on the body’s natural healing ability. Chiropractic treatment majorly deals with the manipulation of the spine. According to the research that has been conducted by the National Scoliosis Foundation, chiropractic adjustment has been to be a good alternative treatment to those who are suffering from scoliosis. Chiropractic treatment for scoliosis may involve several procedures depending on the severity of the condition. These treatments may include spinal manipulation, electric stimulation, active exercise methods, shoe lifts, postural counseling and so on. So how can chiropractic care help you with your scoliosis? Chiropractic Treatment does not only treat the current problems that are associated with scoliosis but it can also help in alleviating and controlling the symptoms that comes with it. Scoliosis patients whose been treated with chiropractic care have been reported to have noticeable improvement concerning the size of the curves. Nevertheless, this does not happen overnight though, chiropractic for scoliosis requires multiple visits in order for the patient to experience its full benefits. A chiropractor can also monitor your progress to ensure that you are doing the right thing and to see if the treatment yields favorable results. A chiropractor will recommend you to check with another medical specialist if he or she thinks that is the best course of action for you regarding your condition. However, before you set-up an appointment with a chiropractor is sure that the treatment is indeed best for you.